There is a battle happening on dealer showrooms right now. Right now, heavily discounted new cars are facing off against an excessive inventory of pre-owned models. The winner of this fight could be you, if you play your cards right. 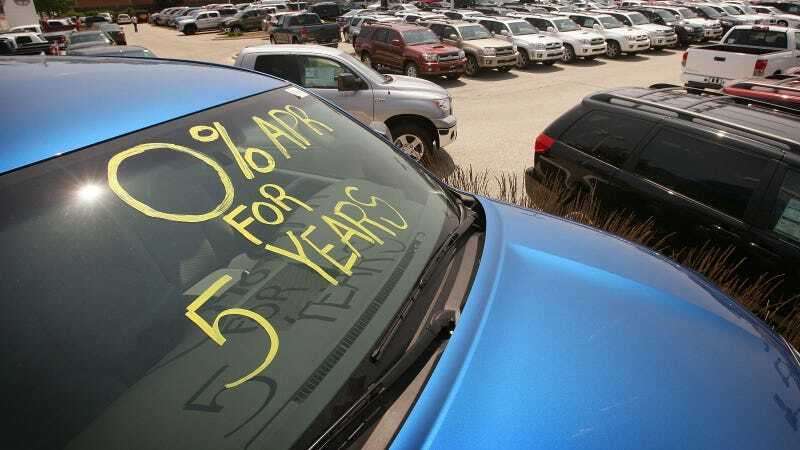 In order to help move used cars, automakers and banks are offering incredibly cheap interest rates for pre-owned financing. The decision whether to buy a used car or a new one is a struggle only slightly less old than the automotive industry itself. The common advantage with a new cars used to be that you could usually get really low or even zero percent APR financing from the manufacturer, which can close the gap on the total cost. For example, a few months ago I was shopping for a used Subaru Impreza. A nicely equipped 2015 model was about $24,000. A brand new car with the same equipment had an MSRP of $28,388, but I was able to drop that down to $26,000. My customer had a pre-approved used car loan for 3.5 percent, which would mean that $24,000 car would cost $436/mo. However, at the time Subaru was offering 0.9 percent financing so that new Subaru at $26,000 would be $443/mo. Even though there was a $2,000 difference between the two cars, the difference in APR closed that gap to only $420. Now banks are offering crazy low rates for even pre-owned car loans. It can be difficult to find advertised rates for pre-owned models, but here is a sampling of what you can get. Usually the best value for pre-owned cars are usually luxury models due to their rapid rate of depreciation. BMW will give you a practically free loan if you finance a certified pre-owned 3 Series or i3. Mercedes is offering 1.9 percent for 72 months on selected loaner C-class cars. On the flip side to the steep depreciation curve are mainstream brands like Honda and Toyota. They tend to hold their value much better, so it doesn’t always make sense to buy the pre-owned model when the new car is almost the same price. However, if you can score a killer deal on a lightly used CPO Toyota you could get financing rates from 1.9 to 2.9 percent. As an extra bonus, Ford will offer 2.9 percent APR for up to 66 months on CPO models. Even if you don’t buy a certified-used model, lenders are offering competitive rates on all used cars if you shop around. Of course, the caveat to these cheap loans is that you have to have good credit to qualify. Most will require a FICO score of 700 or above, but even if your credit isn’t perfect it pays to shop around and get pre-approved before you go into the dealership.